Zurich Airport to Gstaad Distance is 209 kilomters (129 miles) and it takes approximately 2 h 40 min. Switzerland Car Service offers for this route a private Zurich airport transfer to Gstaad at faire rates with limos and cars for up to 8 passengers. Doesn’t matter if you arrive with the first flight or the last flight at Zurich Airport, we provide 24 hour private Zurich airport transportation services from monday to sunday. The Zurich airport have 2 arrival terminals, for you it doesn`t matter at which one you arrive because all the flights from our costumers we check online. If you overnight in Zurich after your flight we will pick you up at your booked hotel or apartment and get you to Gstaad for the same rate as from the airport. Below are a few hotels. 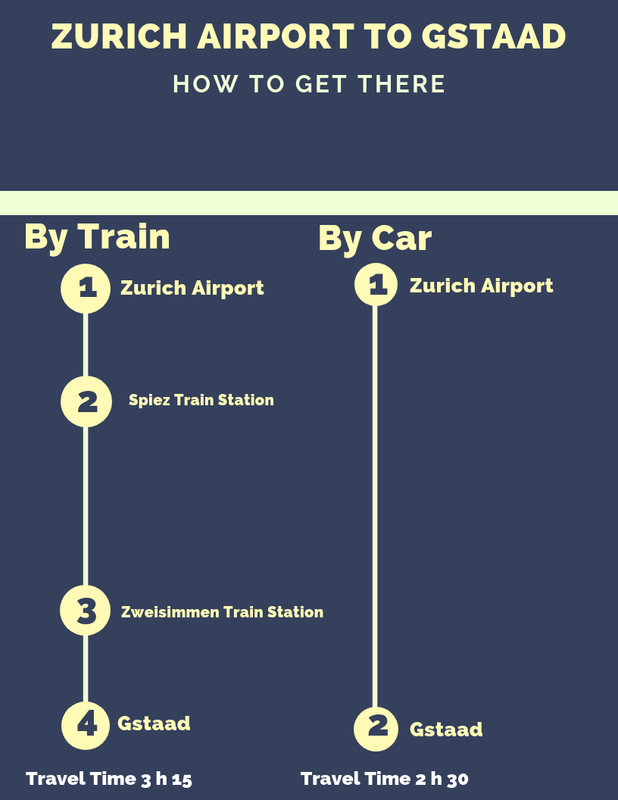 Of course you can spend also time at the Zurich airport before your pick up, there are many shops and restaurants, delicious food and fresh drinks. You can also hire a car at Zurich airport, there are many global companies you can check the rates directly at their website but with us you can rent our Zurich car and driver services at affordable rates and you don’t have to drive yourself. The vehicle is only reserved for you, no shared transportation. We offer the private airport transfer Zurich to or from Gstaad at a very affordable rate for max 7 people. You pay per car not per person and the good thing is, you can book now and pay after the airport transfer in the car to the driver. Your private airport transfer Zurich to Gstaad starts in the arrival hall, your chauffeur will be in the arrivals holding your name plate and will take care about your luggage. Of course after the booking you will receive your drivers cell phone nr. in case it takes much longer to get to the exit or if you don’t find your driver, so you can call him anytime. It can happen that your flight arrives later than expected or maybe earlier, your driver will check your flight online so you don’t have to do anything. Just relax and look forward to your comfortable pick up and airport transfer from Zurich airport to Gstaad.